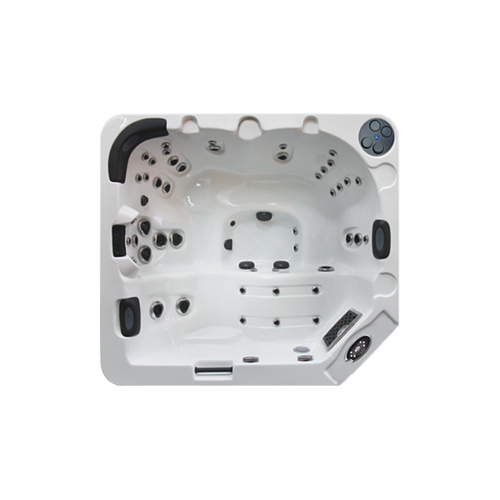 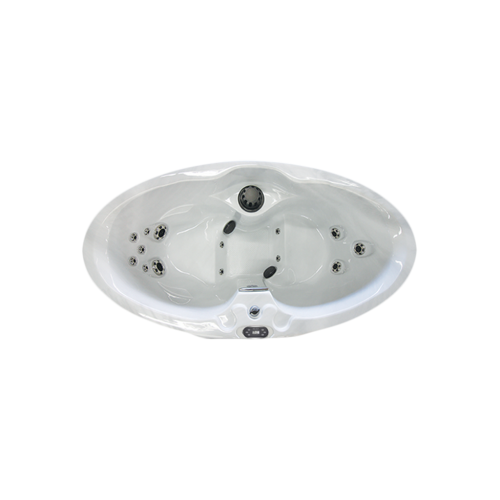 Our Regency Spas Grand Duchess 5 Person Hot Tub with Lounger is beautifully designed and perfect if you require a luxury hot tub but are perhaps working with less space. 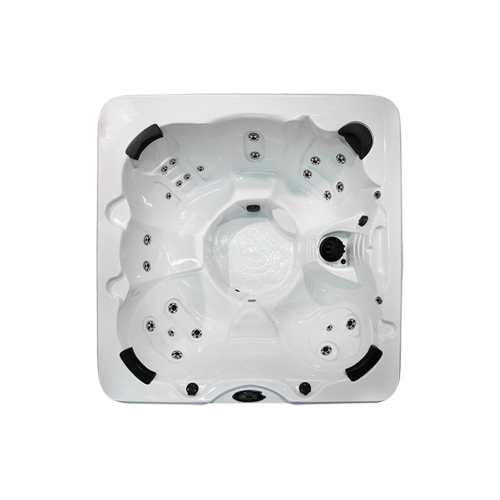 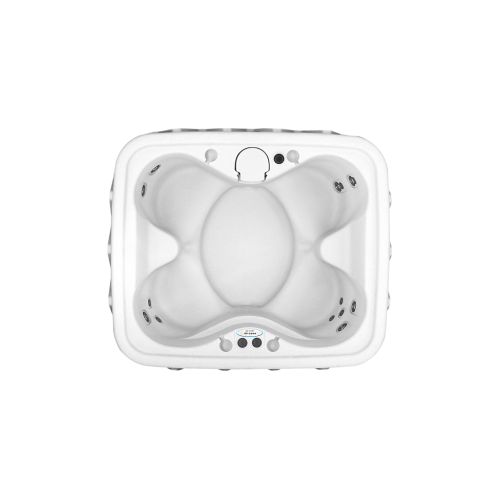 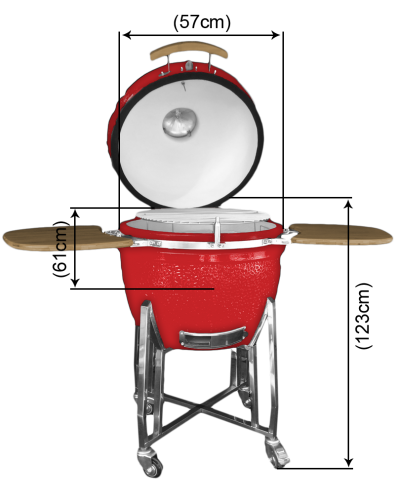 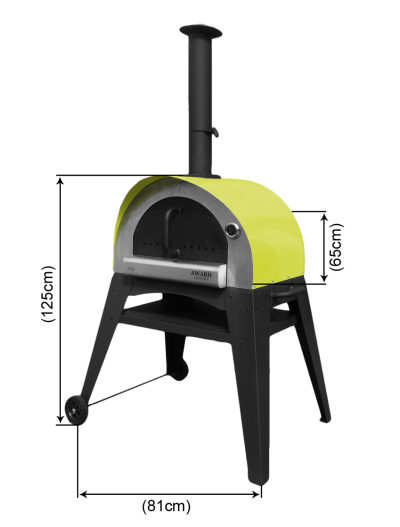 The Grand Duchess is 185cm x 206cm and at only 76cm high is one of the few low hot tubs that fit through most doorways or into a garden where there is a more narrow access. 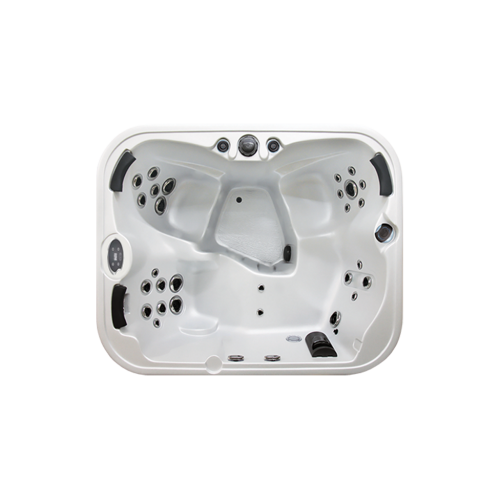 The cleverly shaped barrier-free seating layout offers 2 deep wrap around hydrotherapy seats, an amazing lounger massage seat perfect for relaxing and relieving aches and pains from your from neck down to toes and bench style seating which allows bathers to flex, stretch and even float while enjoying the bubbly hot tub massage. 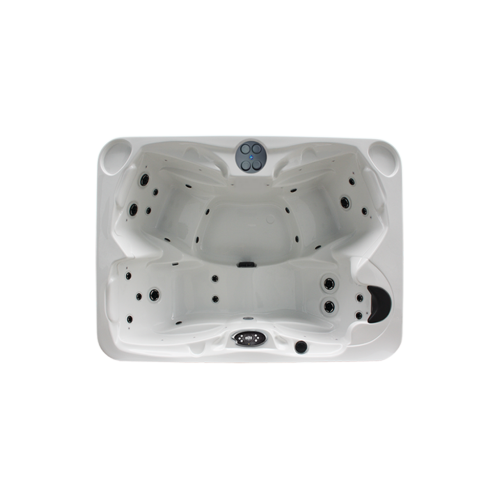 The powerful hot tub jets are strategically placed within each seat so all body shapes and sizes can enjoy either deep muscle or soft tissue massage; we think that this is one of the reasons why the Grand Duchess is such a popular hot tub through reviews and recommendations - Customers are proud to boast that their Grand Duchess has turned their home or garden into an impressive 5 star spa resort. As with all our hot tubs made in Canada, you can be assured of the best commercial grade hot tub filtration creating the cleanest hot tub water and a fully insulated hot tub with the lowest running costs. 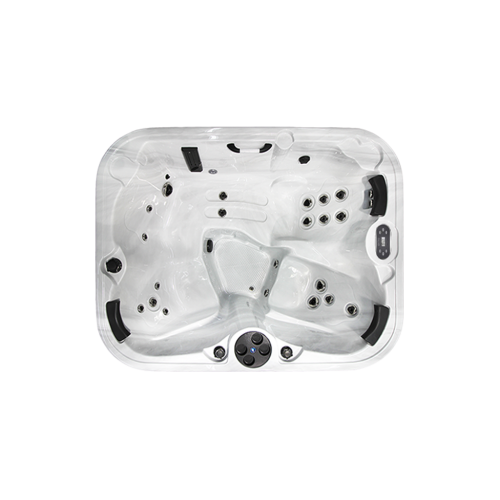 The Canadian spa with waterfalls and lights creates an ambience that makes this a perfect social hot tub or a hot tub for all of the family to enjoy. 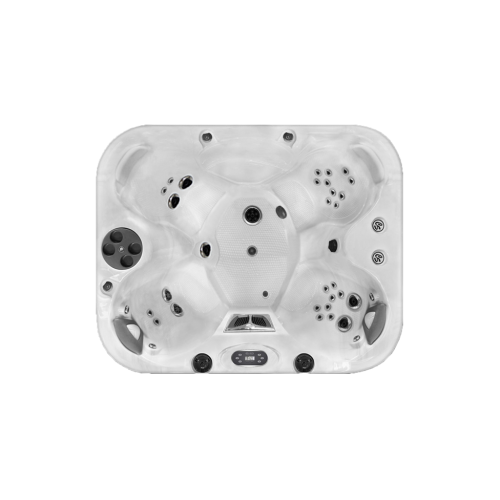 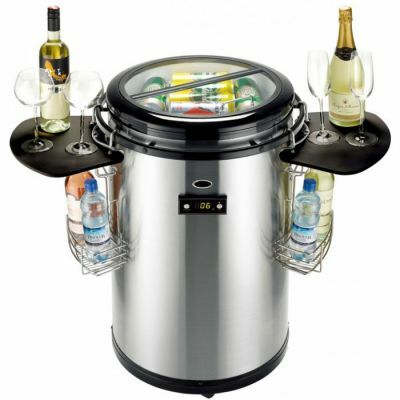 Please look at the tabs below and find out for yourself that we have the best quality hot tubs. 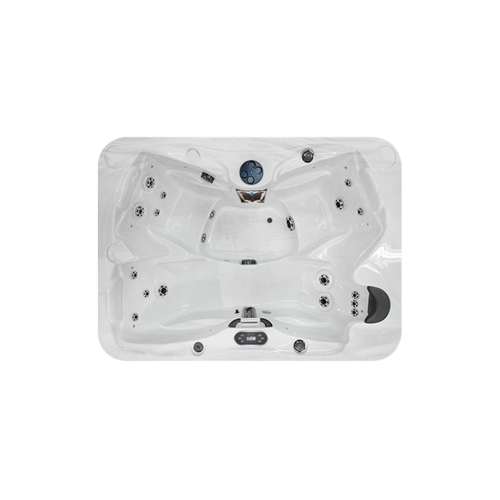 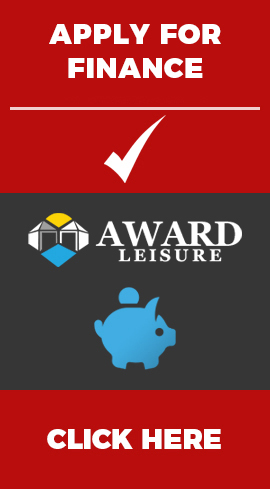 Also, click reviews and installations tab to see why Coast Spas can claim to manufacture the world’s best hot tubs and why Award Leisure can offer the best hot tub prices.